Theory and dry land drills/practical sessions. Available to members only. No prior experience necessary. The modules run prior to racing at the club, so that participants can then practice during races or during cruises if they wish. These modules are a mixture of advice sessions by club members and sessions run by RYA qualified and other external expert coaches. They are aimed at helping sailors further improve their sailing skills by concentrating on specifics during short 2 hour sessions. In some cases they will have a particular emphasis on racing and mostly, will have a bias towards sailing in tidal waters. All modules differ. Options for participants will include sessions using stern main-sheet Enterprises, centre main-sheet RS Visions or single handed Lasers. All modules last for a minimum of two hours. Laser, vision and Enterprise rigging – essential information and advice on rigging club boats and how our expert sailors rig dinghies. Rig tuning and sail controls – Double and single handers, how to adjust your rig and sails to set up for different conditions. 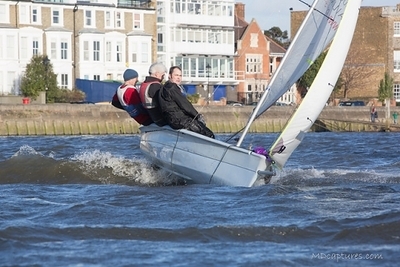 Sailing on the Hammersmith Reach 1 – Advice on how to approach sailing on the river in different tidal conditions and wind directions. Sailing on the Hammersmith reach 2 – Launching and coming alongside in all conditions, Hazards, sailing our courses. How to avoid capsising Enterprises – Sail controls and sail settings, communication twixt helm and crew, risky manoeuvres. 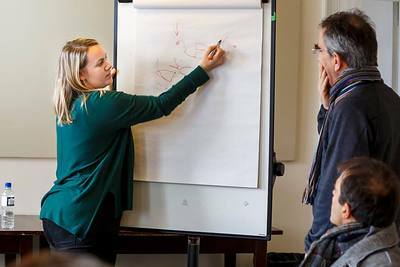 Enterprise masterclass – all you need to know and all your questions answered. The Dark arts – Sailing on the edge, (of the rules). £15 per person per module. If the minimum numbers for each course are not attained then we reserve the right to cancel or postpone.